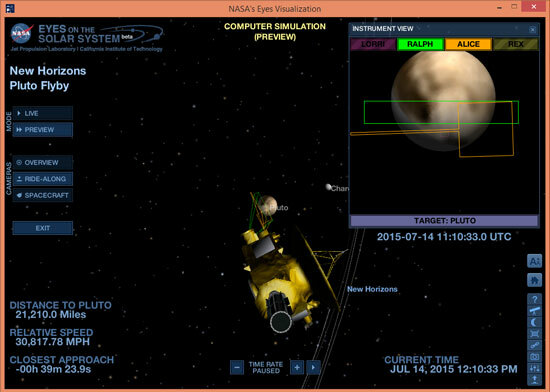 Where is the New Horizons Spacecraft right now? 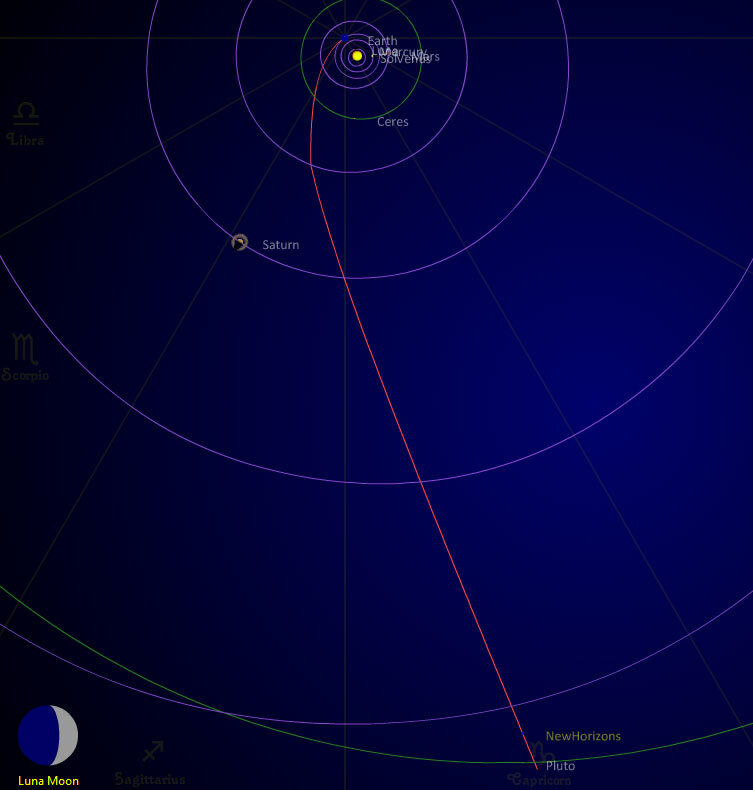 If you have selected the desktop version, then the app above shows you where the New Horizons Spacecraft is today, right this moment, in an interactive animation. 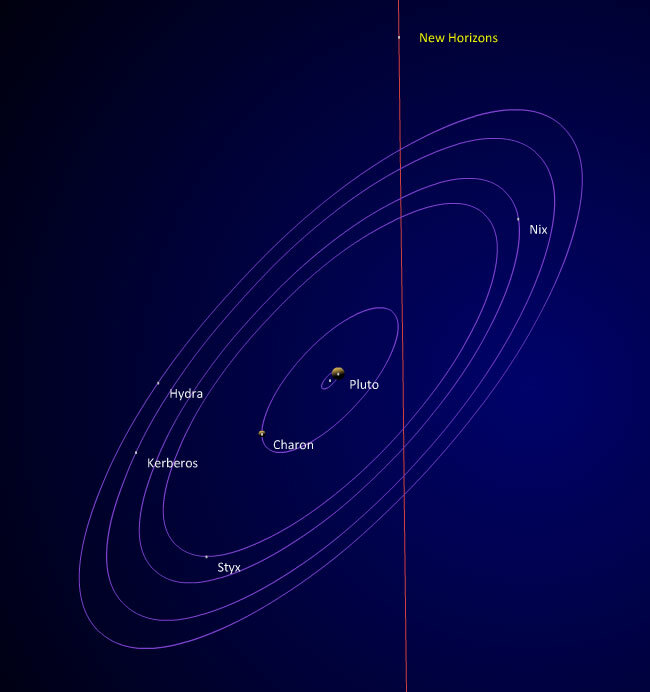 It also shows the position of Pluto and also two Kuiper Belt Objects, 2014 MU69 (nicknamed "Ultima Thule") which was New Horizon's target after Pluto and 2014 PN70 (which was once a candidate target). New Horizons successfully achieved a rendezvous with Ultima Thule - an object formed from two roughly spherical objects joined together to form a single object of about 35km long and 15km wide - on the 1st January 2019. You can wind the animation backwards and then forwards in time to watch its launch (January 2006), its flyby of Jupiter (February 2007), its encounter with Pluto (June 2015), its encounter with Ultima Thule (January 2019) and beyond. You can stop it at any time to see its position and the position of the planets during its flight. The 2D/3D button shows planets or New horizons on "3D" stalks to represent the distance above or below the plane of the ecliptic. If you've selected the mobile version (recommended for smaller screens) then we provide a video which also allows you to see an animation of the New Horizons journey from Earth to Pluto to Ultima Thule and on. 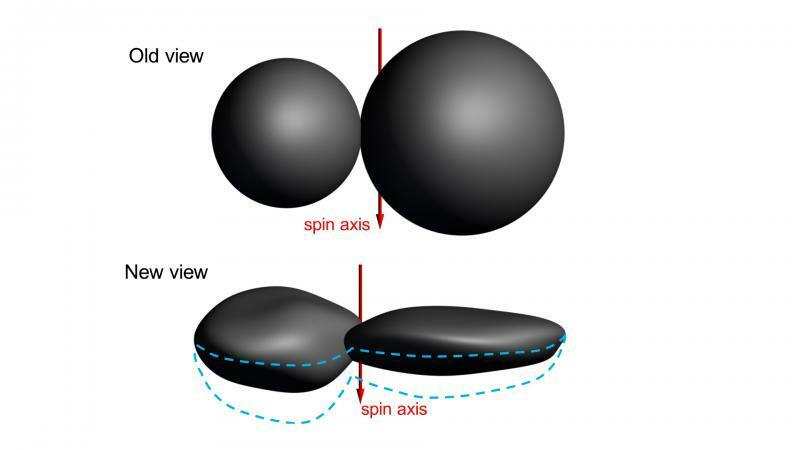 By studying images of Ultima Thule in silhouette as New Horizons left the vicinity, scientists have discovered that instead of Ultima Thule being comprised of two roughly spherical objects, it is more like a dented walnut shaped object stuck to a pancake shaped object. Nothing this shape has ever been seend before orbiting the Sun and so scientists have to try and work out the processes involved in creating these shapes. Article. 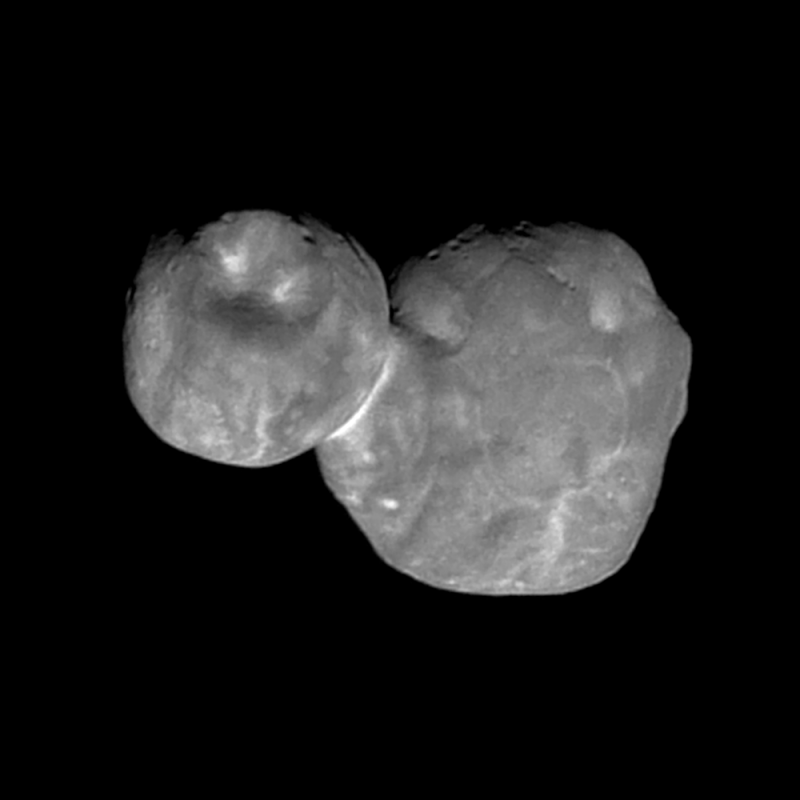 This image captured when Ultima Thule was 4,200 miles (6,700 kilometers) from the spacecraft, at 05:26 UT (12:26 a.m. EST) on Jan. 1 – just seven minutes before closest approach. With an original resolution of 440 feet (135 meters) per pixel, the image was stored in the spacecraft's data memory and transmitted to Earth on Jan. 18-19. Scientists then sharpened the image to enhance fine detail. Article. 3rd January, 2019: News Update. The following update from the New Horizon's team provides little new information other than a 3D (but still low res) representation of Ultima Thule. Not much more is expected from now until after the 10th as New Horizons is behind the Sun from Earths perspective and therefore out of radio contact. 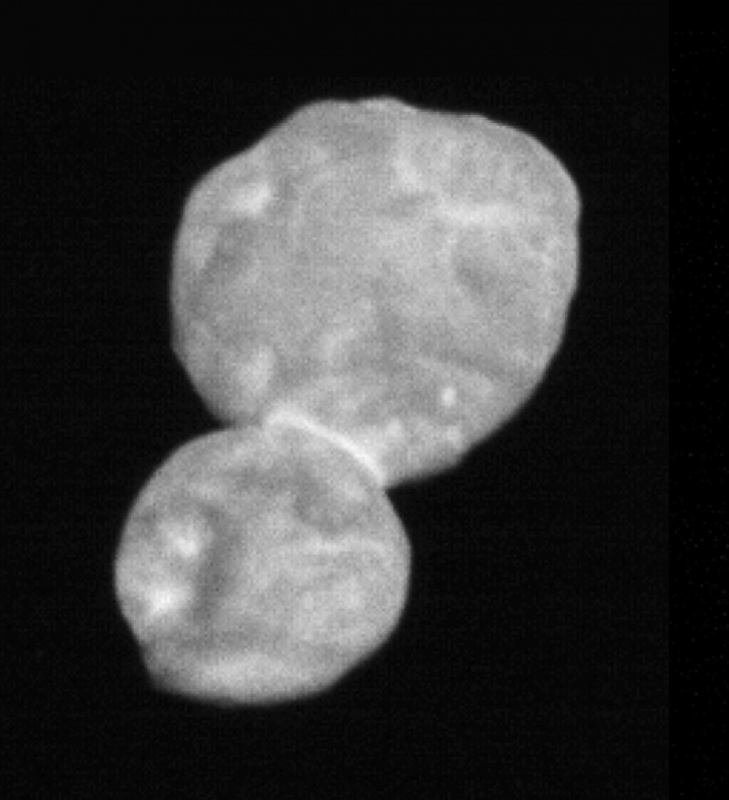 2nd January, 2019: Ultima Thule is Red. 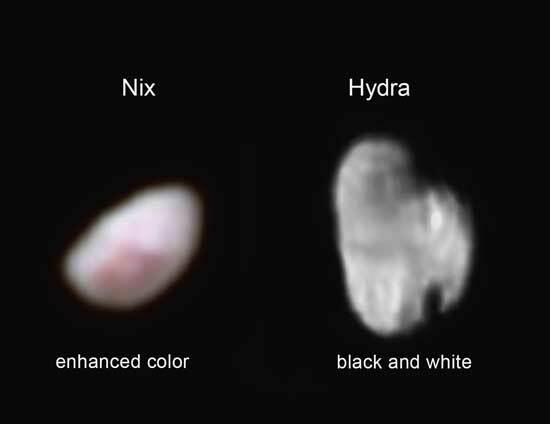 Combination of images from 2 sensors indicate that Ultima Thule is red in colour - possibly due to irradiated ice. 1st January, 2019: New Horizons Visits Ultima Thule. 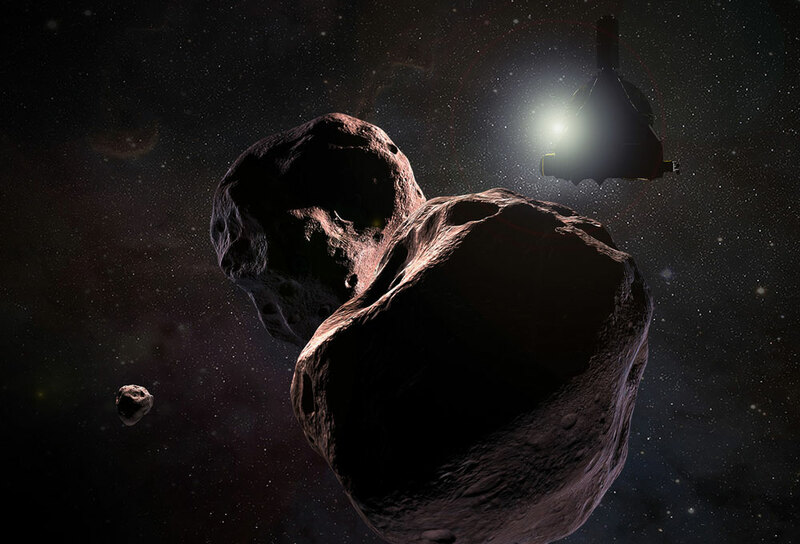 New Horizons has sent back a status report indicating that it was successful in capturing data from it's rendezvous with Ultima Thule. It will continue to do some science before sending more data back to earth. Because of the distance it will take a long time to return all the data - some 20 months in total - but we're hoping for some reasonably detailed images to be returned in the next couple of days. New Horizons will be behind the Sun (from Earth's perspective) for a week or so starting this weekend which will mean no data is returned during that period, but each day there after more and more data will be returned. NASA Article. The New Horizons team know that Ultima Thule is spinning on an axis which points towards towards the spacecraft - like looking at a propeller from the front, and seems to be spinning possibly once every 15 hours - or perhaps every 30 hours. Its dimensions are about 35km by 15km. For other NASA coverage information, click here. New horizons is healthy and looking good to rendezvous with Ultima Thule on Jan 1st 2019. No rings or moons have been detected so it has maneouvred itself so that it passes on the planned closest path to the object. Article. The rendezvous with Ultima Thule is going to be a lot quicker than the Pluto Rendezvous. It's not because New Horizon's is travelling faster - indeed it's speed will be pretty much the same, but because Ultima Thule is a lot smaller than Pluto. 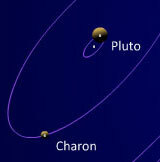 With Pluto (at around 2400km diameter), New Horizons could begin observing the dwarf planet when it was weeks away. 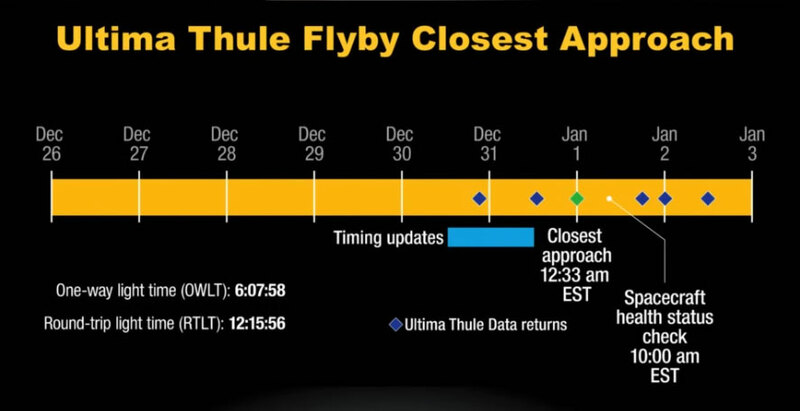 But because Ultima Thule is only about 30km diameter, New Horizons will only be able to start resolving details about a day before the encounter. Travelling at about 10 miles a second, New Horizons will need to look for signs of debris/rings/small moons orbiting Ultima Thule, and possibly change course if anything is detected in it's planned path. Hitting even a small speck of dust at 10 miles a second could easily destroy the probe. The later any hazard is detected, the more difficult it will be to avoid it. This is the furthest rendezvous. ever attempted by far, and will not be repeated again in the near future. 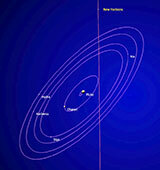 There are no other missions currently planned to visit the outer solar system. This is the first time we will have visited an object that has been in the "deep freeze" of space since it was formed. All other objects we've explored have to some extent been warmed by the Sun and so changed over time. 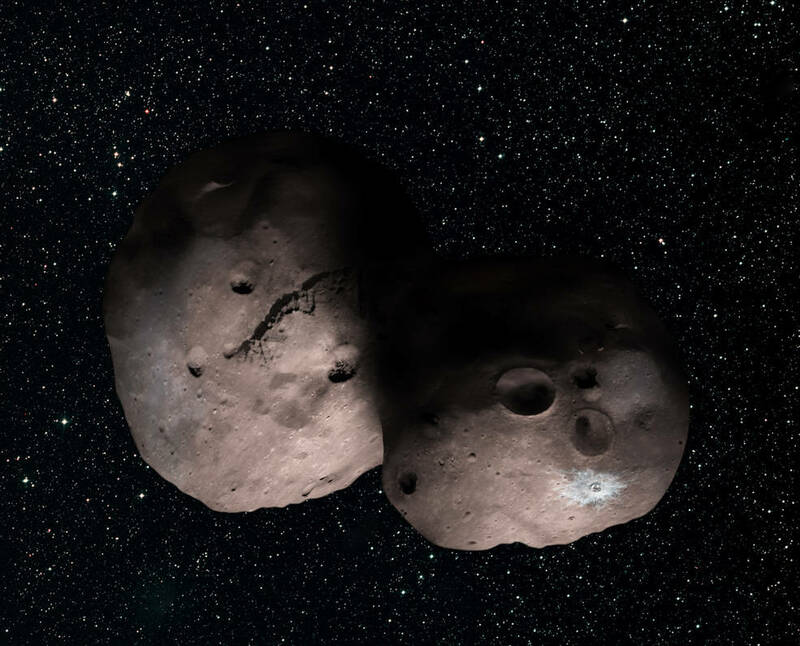 Ultima Thule is expected to pristine material from the formation of the solar system and therefore scientifically very important. 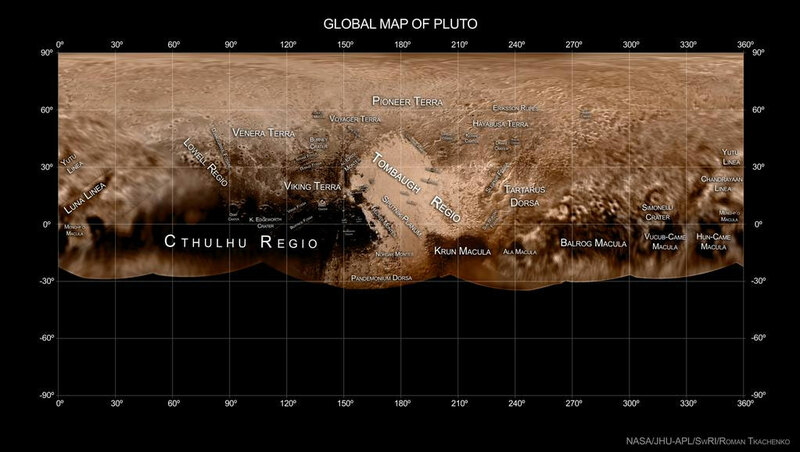 With the pluto encounter, there were some knowns... such as it's precise position. With Ultima Thule, the position is known but not as accurately as the New Horizons team need. They will be using the on-board imaging systems to refine the position and then manoeuvre the spacecraft using thrusters as they approach. 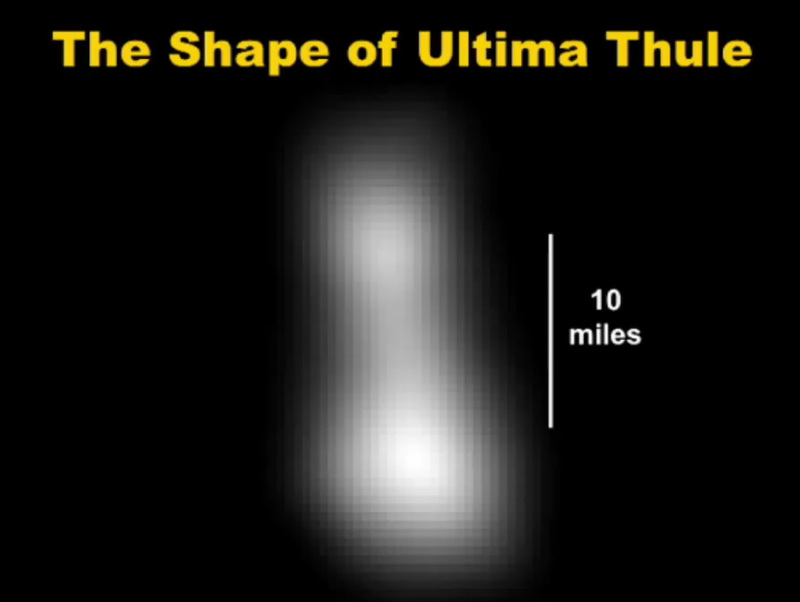 The Sun is even dimmer at Ultima Thule than it was at Pluto making getting clear imagery harder. 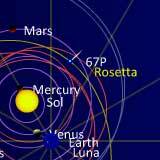 The round trip communication time at Pluto was around 9 hours and at Ultima it is 12 hours. This means it takes that bit longer to send commands and get confirmation of success or failure, which means if problems occur it is that much harder to diagnose and fix them in a timely manner. The spacecraft is currently healthy but it is 2 year's older than it's last encounter and the risks of failures increases. The nuclear batteries are also getting weaker. The entire spacecraft only has 190 watts of power which it must use to perform all operations - powering it's seven instruments, run guidance computers, communicate and perform thermal control. Simple answer is no one knows. It's expected to be an icy body which is very dark from millions of years of radiation. It seems, from observing stars passing behind it, to be made up of two spherical objects joined together - rather like Rosetta's Comet. It will probably be cratered, and might have evidence of internal heating from radioactive materials that may have been present at its formation. Since August the team have been focussed on observing Ultima and trying to detect moons and dust in it's vicinity. Mid (16th) December is the time the team must make the decision as to continue on the current course to approach within 2170 miles of Ultima or to divert to a greater distance of some 6200 miles. The team are also observing other Kuiper Belt Objects in the vicinity since this will be the only opportunity to see these objects up close for many years to come. When will we get some data? During the rendezvous, the spacecraft will be pointing it's instruments at Ultima and won't be able to rotate it's dish to send any detailed data back until after rendezvous is over. Some early data will be sent back the day before the encounter (images only 2-6 pixels across). The encounter will occur at 2019/01/01 05:33 UTC . The first that will be heard after the encounter is when New Horizons sends back a health check. More detailed data will then start trickling back in the following days, with a hundred pixel across image being available early January 2nd. 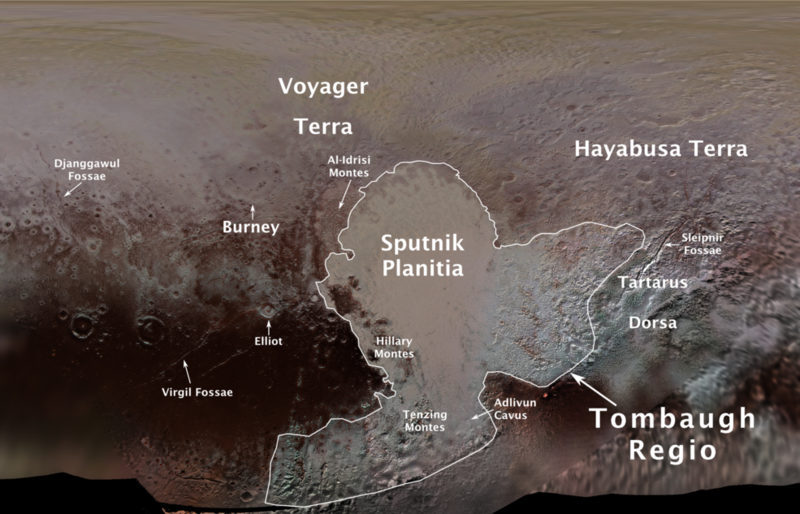 14 of the features on Pluto now have official IAU names - most of which were first suggested to the New Horizons team by members of the public. Article. The flight path for New Horizons rendezvous with MU69 has been decided and will be closer than even the Pluto flyby. Article. On the 11th September, New Horizons woke from its hibernation for 3 months of observations and tests. Article. Ground based observations of New Horizons next target, 2014 MU69, indicate that it has a strange shape or is a binary object about 30km by 20km. Article. 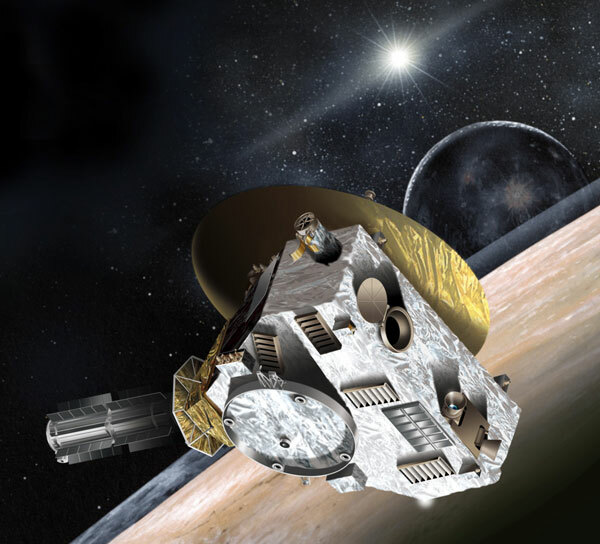 In April, New Horizons went back into hibernation for 5 months whilst travelling to it's new target. The team, however, are busy processing data and preparing for the next encounter. Also it's revealed that 2014 MU69 will get a "proper" name. Article. On October 25th 2016, New horizons sent the last of the 50 plus GB of data recorded during it's Pluto fly-by in 2015. The spacecraft can only send data at between 1000 and 4000 bits per second, and only can do so when the deep space network is available, which is why it has taken this long to get all the data back. See this video explaining the delay. Article. NASA Release (August 2015). Article (October 2015). 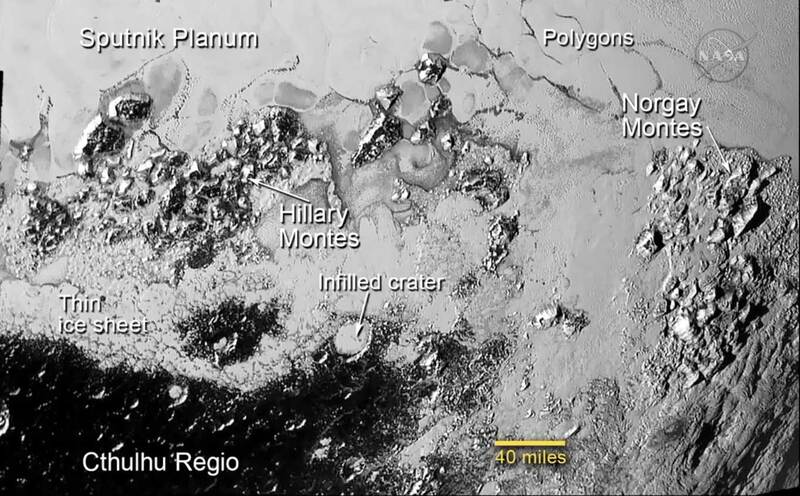 Here is a link to a series of one minute videos about aspects of Pluto as discovered by New Horizons. Warning to your brain - all in the aim of keeping each video to a minute, the science is fired at you "fast and furious"! To follow the encounter from the spacecraft’s view, why not download the NASA App, select the New Horizons from the Tours & Features options and see how New Horizons scans Pluto and its moons throughout the fly-by. 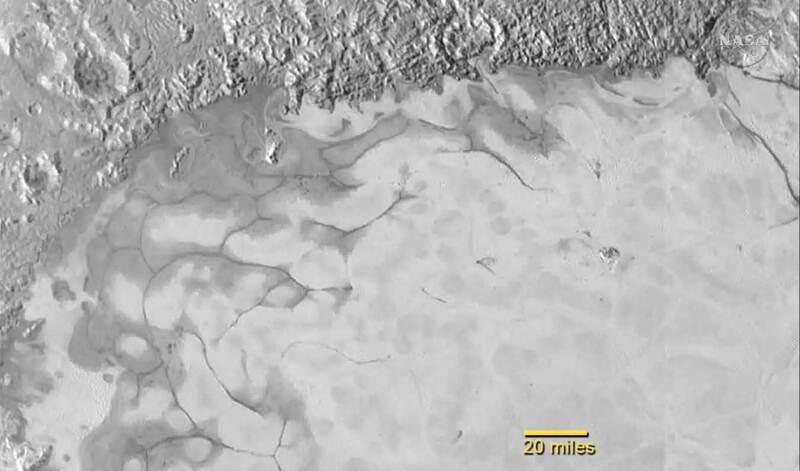 New Horizons discovers flowing ices in Pluto’s heart-shaped feature. 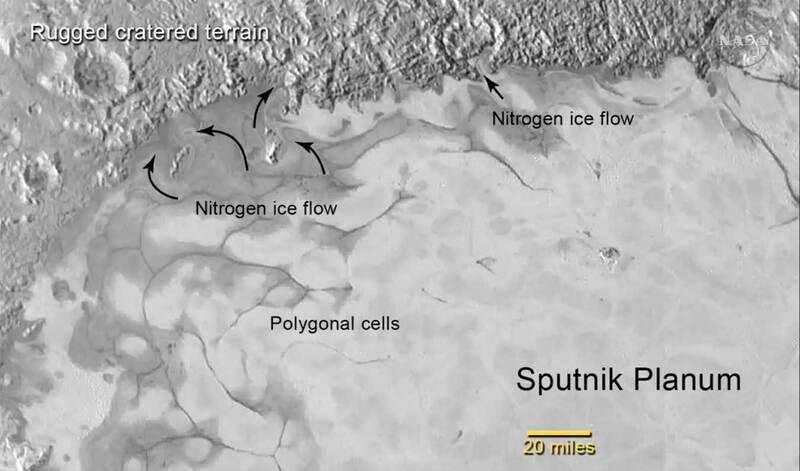 In the northern region of Pluto’s Sputnik Planum (Sputnik Plain), swirl-shaped patterns of light and dark suggest that a surface layer of exotic ices has flowed around obstacles and into depressions, much like glaciers on Earth. Credits: NASA/JHUAPL/SwRI. Click for full story. 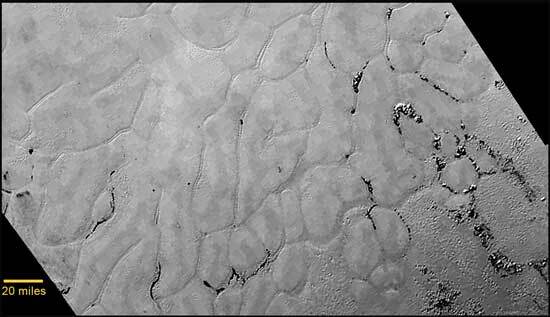 The left side of heart shaped region on Pluto appears to be a huge glacier made of nitrogen and other frozen gasses. It can be seen flowing around mountains and other features at its edge and even flows through breaches in the walls of ancient craters to fill or part fill the interiors. Scientist are suggesting that the polygonal shapes seen in the ice may possibly be due to a convection processes where warmer material is welling up from deep below. 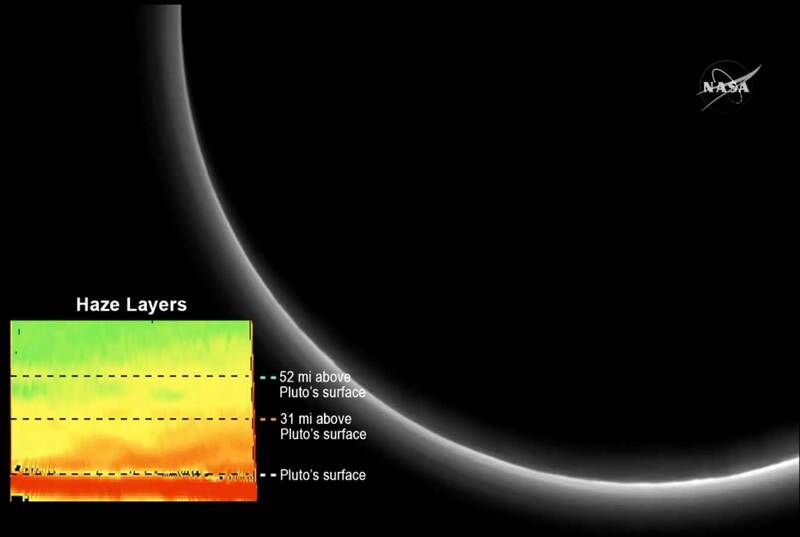 New Horizons detected a few surprises to do with Pluto’s atmosphere. 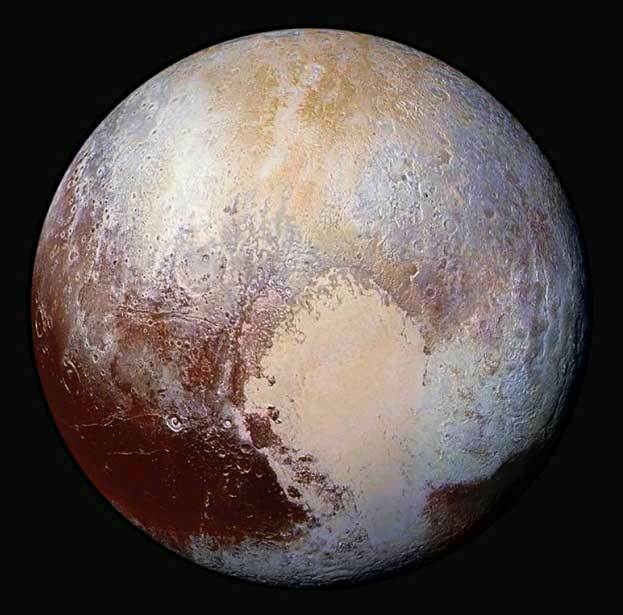 Recent measurements (by watching stars as they passed behind pluto from earth or earth orbit telescopes) showed that the pressure of Pluto's atmosphere has been steadily increasing - against scientific understanding that thought as pluto got further from the sun its pressure should drop. Indeed the team were in a hurry to get New Horizons launched before the atmosphere disappeared altogether. However the first result from New Horizons shows that the atmospheric pressure has dropped to approximately half the last measurement. 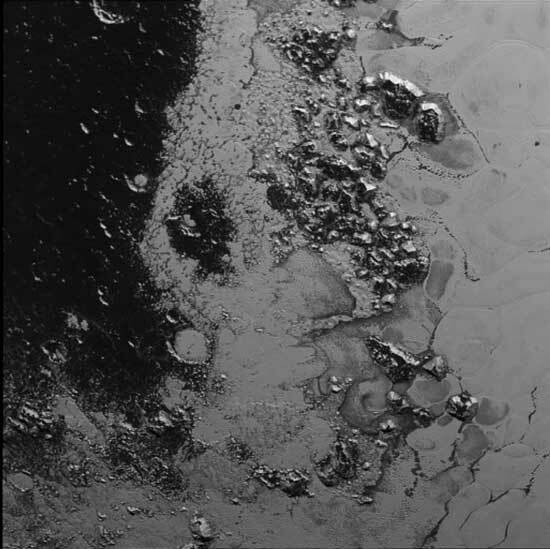 Perhaps New Horizons got to pluto just as its atmosphere is collapsing as it goes into deep freeze or something else is happening. Full Story. Also, as seen in the above image, New Horizons detected hazing in Pluto’s atmosphere at 52 miles high and 31 miles high. Again these layers were not expected and are not understood. The haze occurs when methane gas is broken down by sunlight and causes more complex molecules such as ethylene and acetylene to be created. These hydrocarbons then freeze and form tiny particles that slowly fall to the surface and are visible as a haze. Full Story. 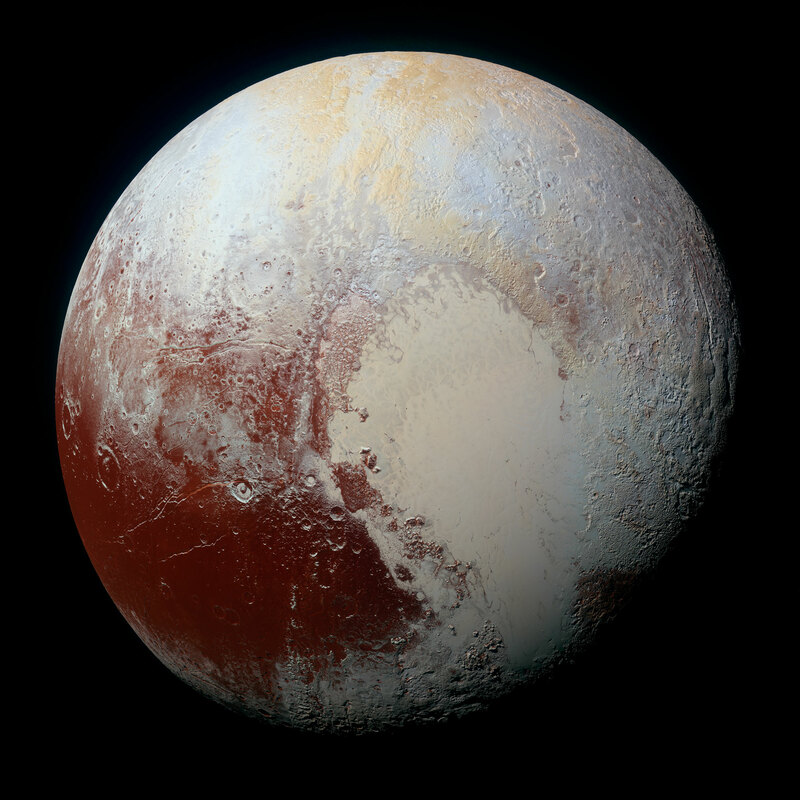 New Horizons scientists use enhanced colour images to detect differences in the composition and texture of Pluto’s surface. It can be clearly seen that the nitrogen glacier in the left of the heart shape differs from the material in the right. Credits: NASA/JHUAPL/SwRI. Click for full story. 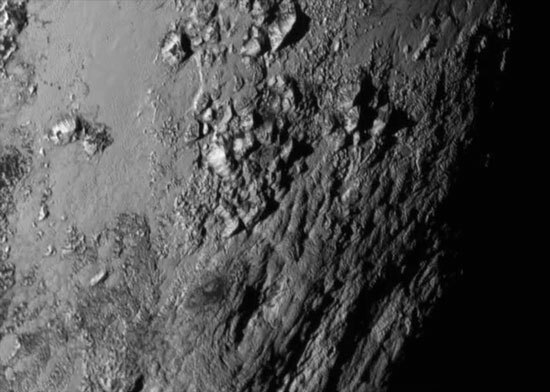 Here is a quick list of other articles covering some important discoveries from New Horizons. They have been listed here since it is sometimes hard to find these news stories on the NASA sites a week or so after the event. 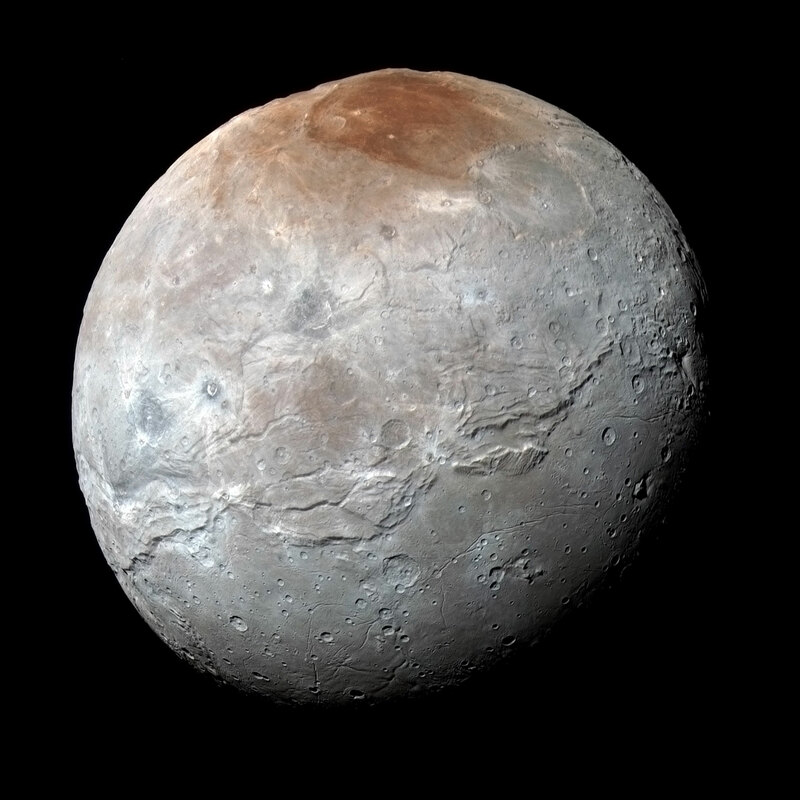 To see the journey of New Horizons as it passed through the Plutonian system, click here. 08:48 - 11:20: Science Update - brief discussion of image data collected and to be collected (filmed June 16). 13:45 - 24:40: The spacecraft - its design and a detailed review of its instruments. As an alternative to the video, a technical description of the instruments can be found at this John Hopkins page. 24:40 - 26:00: How far can New Horizons go? 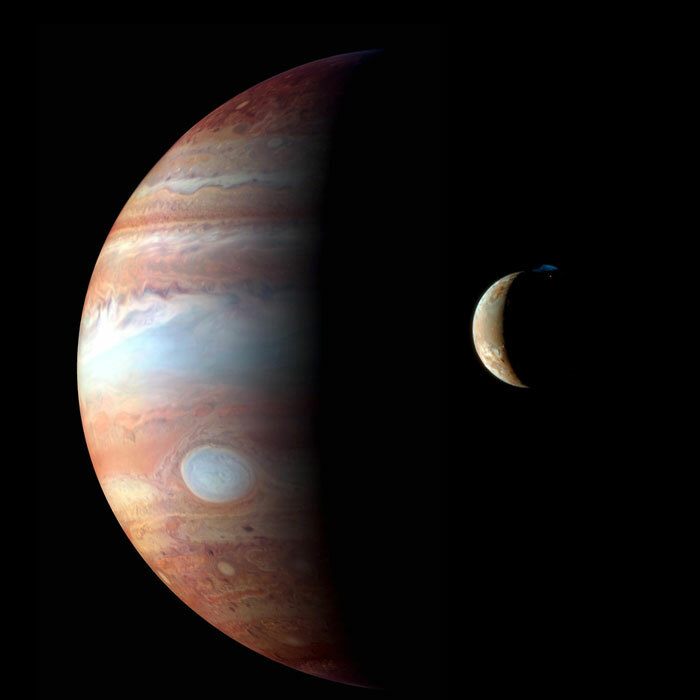 The probe began studying Jupiter and its moons in detail from January until June of 2007. 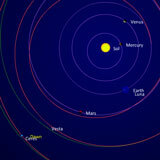 Its closest approach at the end of February was 2.3 million km from the planet. The fly-by increased New Horizons velocity by 4 km/s allowing it to reduce its journey to Pluto by 3 years. During the fly-by New Horizons was able to study Jupiter's atmosphere and faint ring system in detail including imaging "the little red spot" in more detail than ever before. 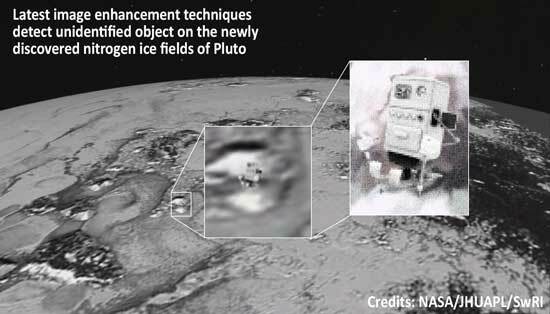 New Horizons flight path did not take it near any of the major Jovian moons, but its sensors being designed to image small objects in low light levels were able to obtain impressive images of volcanic eruptions on Io amongst other interesting observations. Below is a New Horizons animation showing eruptions on IO. In June of 2006, it was realised that the spacecraft was going to pass relatively close (100,000 km) to a small asteroid called 132524 APL. 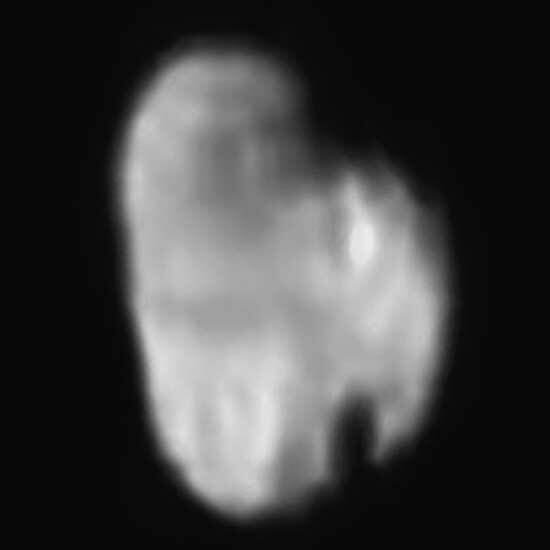 This asteroid was imaged by the space probe (as a small dot) and found, amongst many other new observations, to be about 2.5km across. 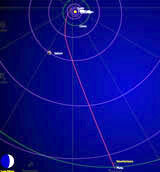 New Horizons was launched on 19th January 2006 directly into an Earth-and-Solar-escape trajectory. It had the highest launch velocity of any man made object at over 16km/s relative to earth.